The musician that looks upon the capo as a cheater, becomes much more limited in his playing than the capo user. 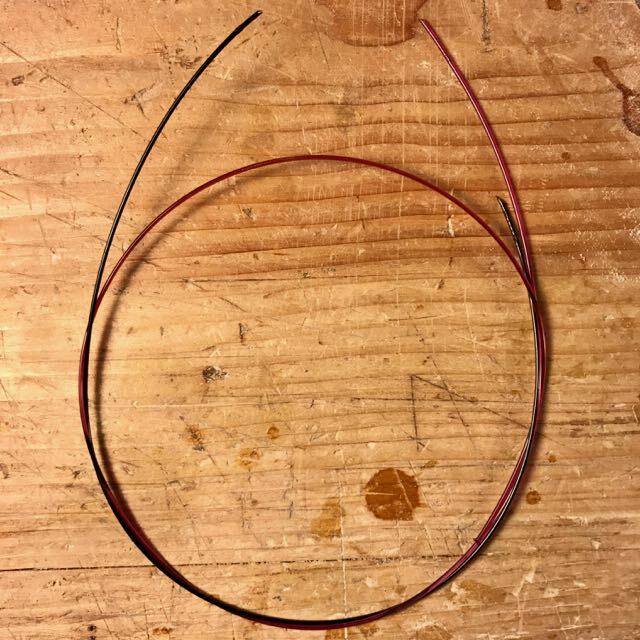 Thought you might be interested in a short post on how I make capos, or cejillas, for classical/flamenco guitars. 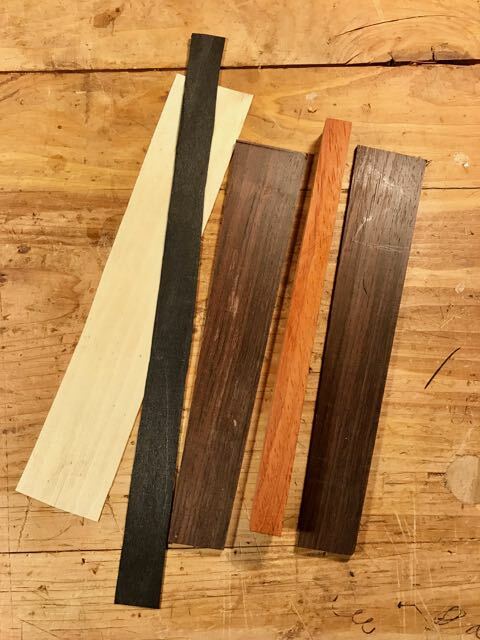 First thing I do is roundup some black and white strips of veneer; a piece of nice wood for the core and even pretty wood for the outside laminations. I plane pieces to proper thickness, align in proper order and glue all pieces together. 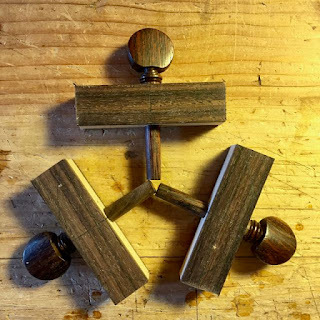 Here are two capo templates I came up with, I copied historic original Spanish capo shapes, I draw these onto the block of wood I just created from the veneer, laminates and core. Then I drill holes for the violin pegs and have a violin/viola/cello peg reamer handy. 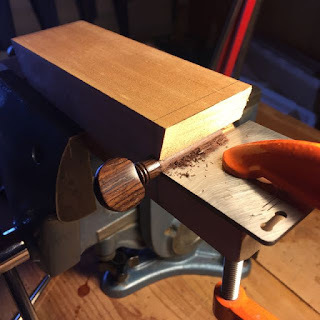 Here is a photo of a shop made violin peg shaver that I made. 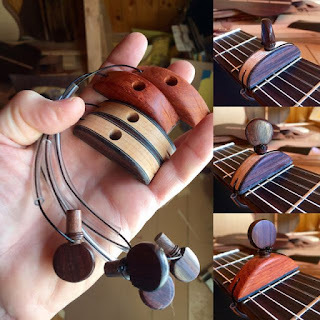 I use 1/2 size violins for the capos. 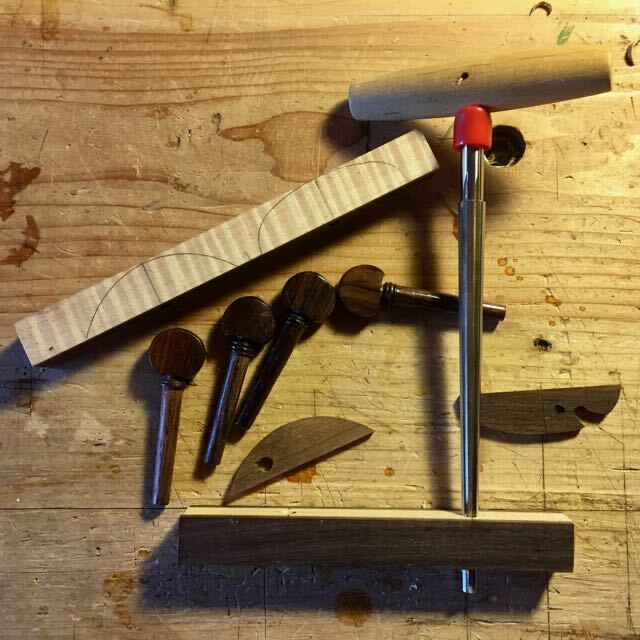 Once the violin pegs fit perfectly in their holes in the capos, I cut them to proper length, drill a hole in the peg shaft between collar and head of peg for the nylon guitar string. 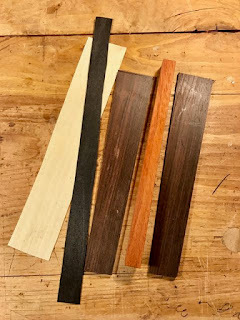 I cut the capos to match the template outlines, sand, buff and apply some linseed oil. and have a whole handful of beautiful capos! 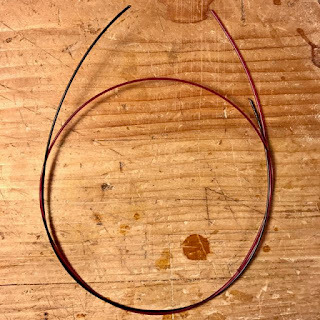 Yes, I have left out a few steps of how I make these handy little tools for a guitarist, I can't give away all of my secrets!